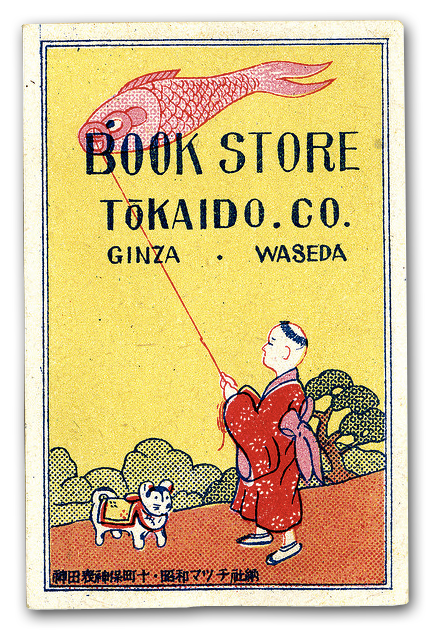 I heart the sweet handlettering the artist gave to this small matchbook label for the Tokaido Co. Bookstore. They even took the care to make the kite string sail through the counter of the B. But I mostly love the innocent and naive illustration and printing quality so typical of vintage matchbook labels. Charming!